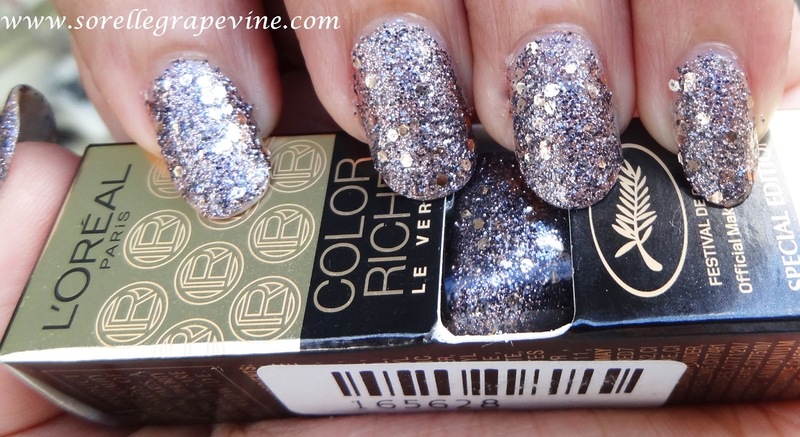 L’Oreal Color Riche Le Vernis Nail Paint 822 Bronze Parure – How do I tell you the depth of love I feel for you?……Honestly I LOVE this one! Totally me. Bling and glamour baby. This looks so much better in real than it looks in the pics so you can imagine. Now this is a shade I can imagine a person wearing while walking down the red carpet. Part of the LE range by L’Oreal this is definitely worth picking. You can read the full review for it HERE. 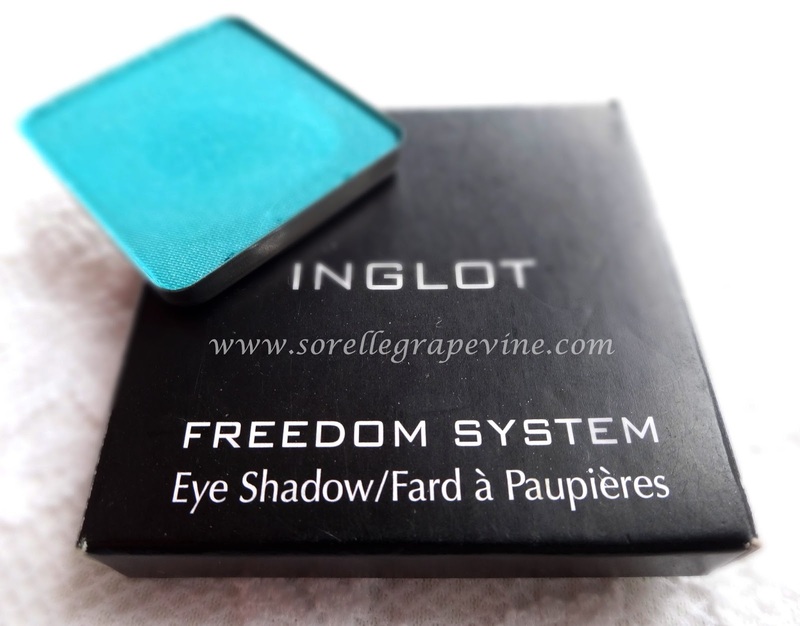 Inglot Eyeshadow DS 504 – This is one gorgeous blue shade. Call it teal call it turquoise…call it beautiful! I happen to love blue colors especially when it comes to shadows and I really liked how this looked especially when applied wet. Plus with a tag of 300 bucks it is a steal! 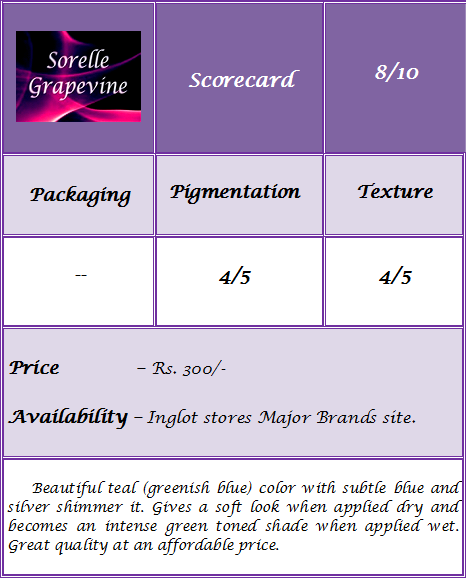 You can check out more swatches and read the full review HERE. 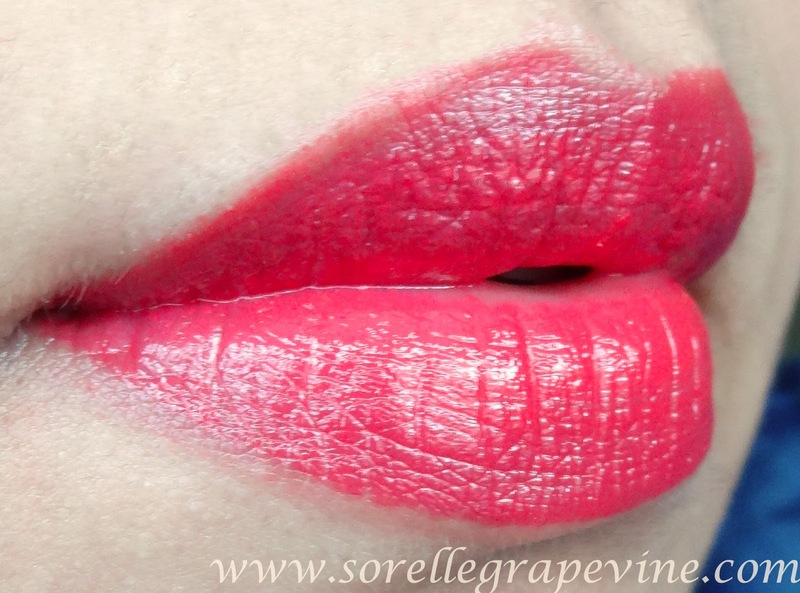 Rimmel Apocolips Lip Lacquer in Stellar – Lovely coral shade. The texture is really nice and looks very pretty. My only problem with it is the smell and the feathering. But I love how it looks. Read the full review HERE. 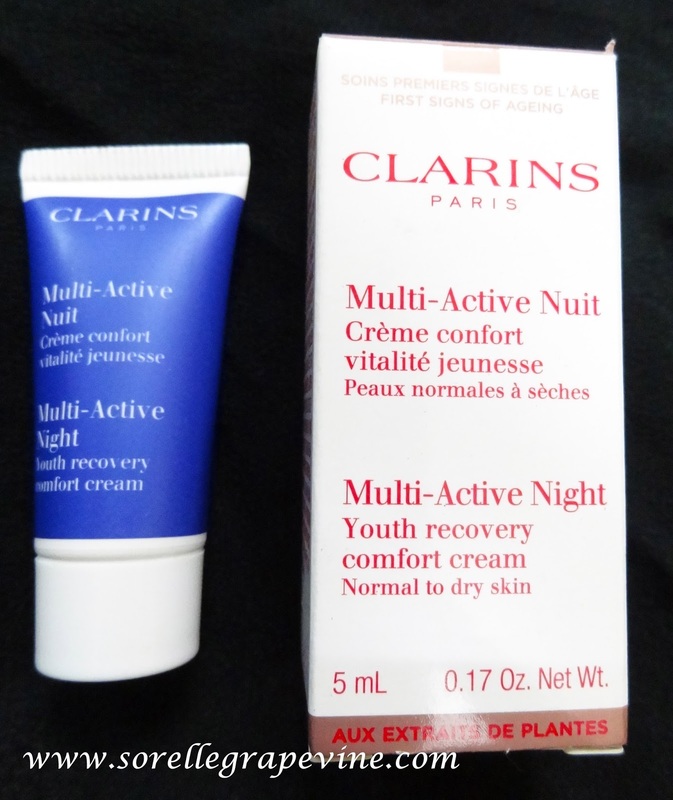 Clarins Multi-Active Night Youth Recovery Comfort Cream – OMG! This is one to have! Especially if you over are 30. You will wake up with it fresh glowing skin in the morning. Literally want to kiss yourself in the mirror. This is on my to-buy list! Read the full review HERE. MAC Crosswires – Found this by chance and feel so happy that I did. A nice color that can be worn day to day. Worth a watch if you want a nice coral shade. Check out the full review HERE. 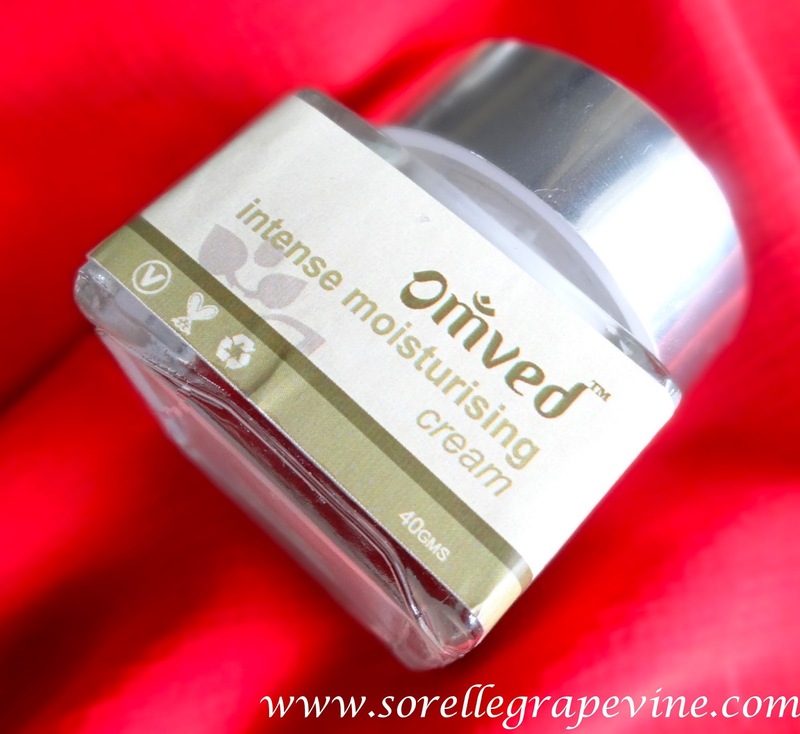 Omved Intense Moisturizing Cream – This is one is a boon for dry skin people. The moisture lasts the entire day (or till you wash your face) and makes your skin soft and smooth. Continuous use of the product heals your skin and gradually you end up using lesser or rather needing less product. Read the full review HERE. 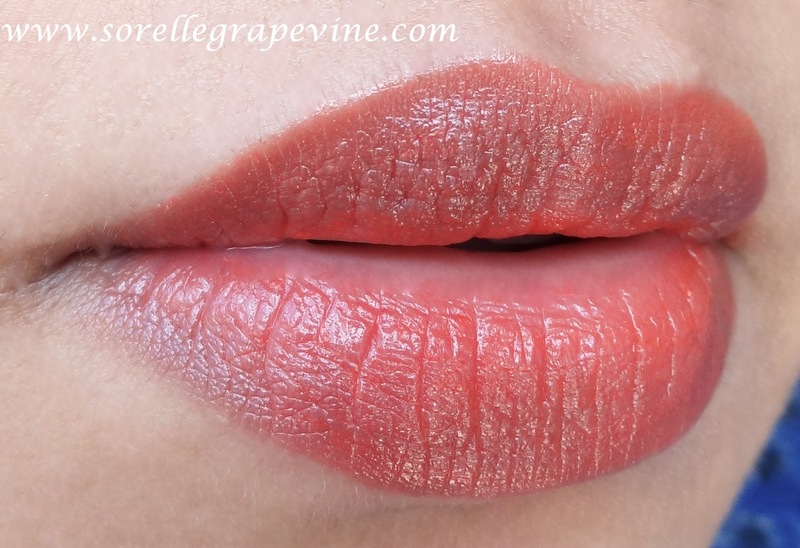 Lakme Absolute Lip Tint Orange Tease – This is the perfect orange shade for those who want to try the new orange trend but were a little apprehensive about it. Beautiful shade and good quality product which is easily available. Can you ask for more? Read the full review HERE. So those were my fav’s for the month gone by…really happy what these new discoveries. Well August is a fresh new month and a lot of products have lined up hopeful to make it to this “elite” list. So excited to see what this month brings in and some look very promising! So which were your favs for July? Do let me know in the comments below. I will see you soon – Take care! I so fell in love with this color when I was swatching it at the Inglot store a couple of months back. I wanted to create a really good palette for the makeup contest that I wanted to put up on the blog back then so I ended up spending hours at the store just to find the perfect four shades. This one was just so beautiful that I had to get it for myself. Inglot has such great quality and is such an affordable brand. Now this is what you should put your money in rather than most of the “drugstore” brands that are available out here. The whole freedom system concept of this brand is so awesome and makes their range so affordable. The length and breadth of colors they have can make your head spin and I get so confused when I go there as to what to pick and what to leave. A makeup obsessed person’s ultimate destination. Earlier in the Kolkata store they had this weird concept that they will not sell you the refills unless you bought a palette or got your existing Inglot one along. That whole idea was just too bizarre for words especially when you could buy the refills easily from their site. Thankfully with the revamped store such bogus fundas are not there anymore. There is something about blue based eyeshadow shades that appeals to me and I get instantly drawn to them. I realized that whatever makeup look tutorials I was thinking of doing had blue playing a major role in it or else they had greens in staring roles. I have to make a conscious effort to think about other colors and not buy so many shades of blue. But this shade I just could not resist. 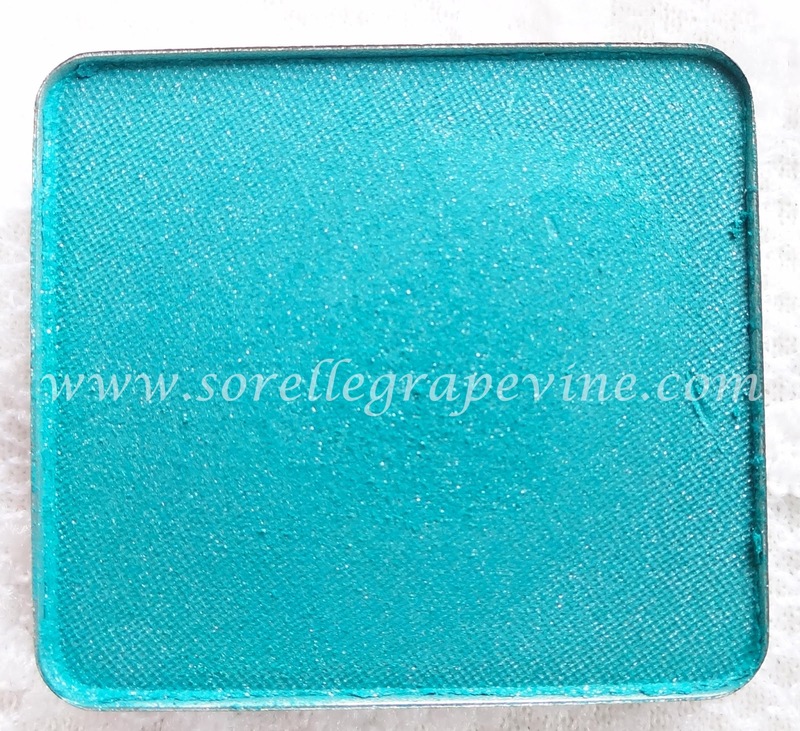 A gorgeous teal (greenish blue) color with fine blue and silver shimmer in it. Perfect combination of two of my favorite shades. The texture is quite smooth and you wont be able to make out any grittiness due to the glitter. On my skin it looks more green toned. I tried it without a base and I had to pack it on a bit to get an even wash of color but it was not difficult by any means. The shimmer looks very subtle on the lids and honestly you cant really make it out. I then applied it with a damp brush and it went under a complete transformation. If you like me love this spectrum of color ie blue/green then do check this one out. Im sure you will love it as much as I do. With that I wrap up this review. How did you find the color? Is it something that appeals to you? How would you wear it most – wet or dry? For me I will always like to wear this wet over dry any day. I love the intensity of the color. Waiting to hear what you think about it. Catch you later! 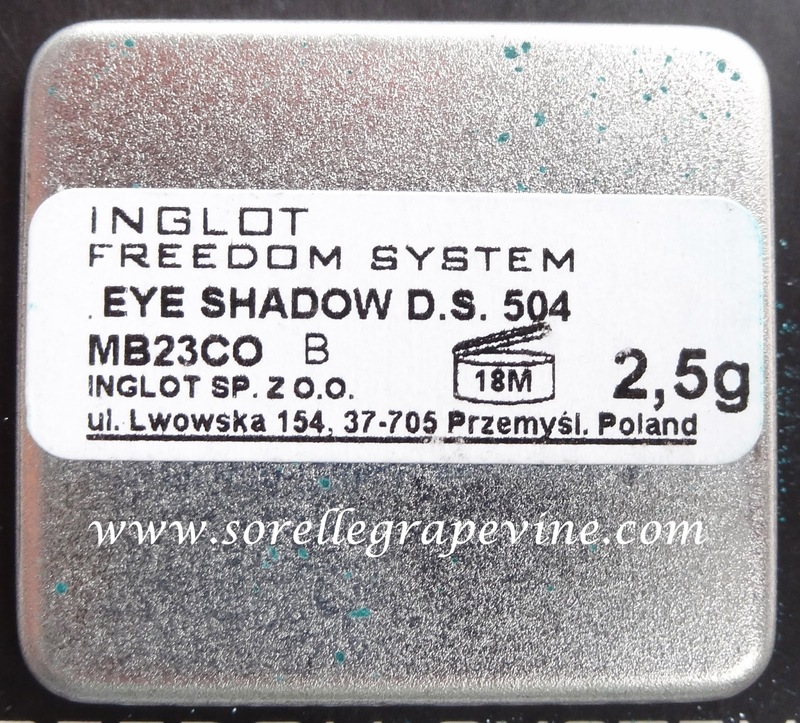 Would you purchase Inglot Eyeshadow DS 504 again? – Yes I think this a beautiful color to have and great quality at great price. Hello my lovelies….back with another nail paint from Inglot. This was part of my haul last year. I have been keeping my nails short this past year and recently went back to growing them again. That is the reason for all these posts getting their due attention. I took the pics and everything when I bought these but lack of swatches prevented me from reviewing them for you. This was part of the new pastel range that they had launched for last summer. This one was actually sold out at the store and I had to buy it from the Major brands site. 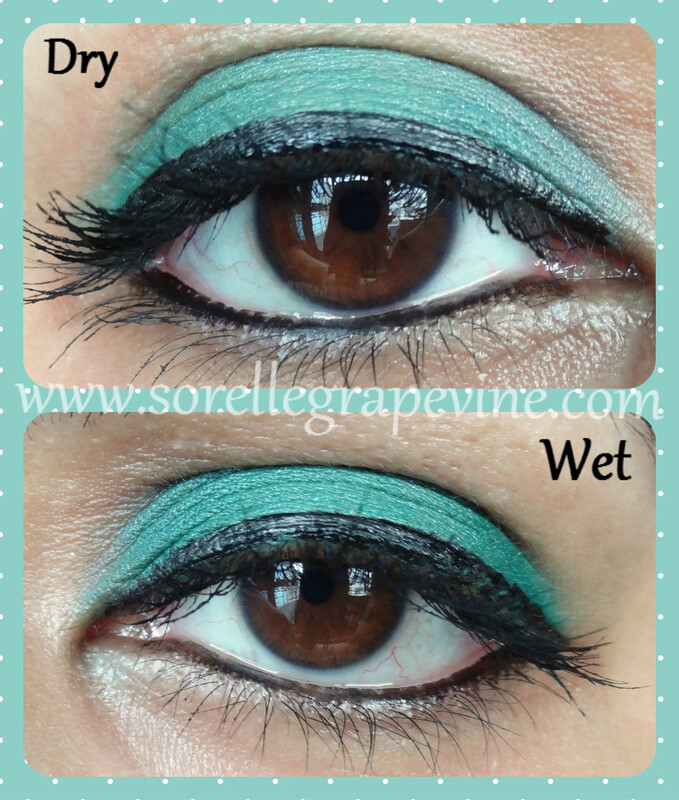 A beautiful mint color with a sheen to it. In the bottle it has this pearl looking shine but it does not look so prominent on the nails. This is another one that went on a little streaky but 2 coats were enough to do the job. I found that this one took a little longer to dry which is something that really tests my patience 🙁 So if you don’t put in any bumps or chips in it then this will last you for a few days. I got chipping on my tips and small specks in the body on the 4th day (this again without doing any work around the house). I think this is one of the perfect shades for summer. Price is Rs. 490/- for 15 ml of product. What do you think about the shade? Have you tried any Inglot nail paints? Write in to let me know. Till the next review – Bye! Would you recommend Inglot Pastel Nail Polish 969? – Yes. It has been over a year since I bought this one. Just been lying around on my vanity table. While digging through my posts which have been saved as drafts (I have many of those unfortunately) I chanced upon this and had to dig through all the stuff on the table to be able to find it. Today it finally gets it day under the sun. Recently bitten by the matte polish bug back then I visited the Inglot store to try my luck as I did not want to spend oodles of moolah getting like a top coat or what not and having to import it or something. The had quite a few shades luckily the details of which are hazy now sorry about that. I loved this pretty pink shade and bought it along with a couple other items from them. The color looks like a pastel sort of dark pink in the bottle but translates to a coral pink matte shade on the tips. It does go on a little streaky and I’m not sure if that is its nature or coz it has been lying around for so long. Being quite opaque two coats of it are enough to cover your nails properly and give it a nice look. I started getting some frayed tips by the second day of application which were not really noticeable. And this was when I was not doing anything around the house. 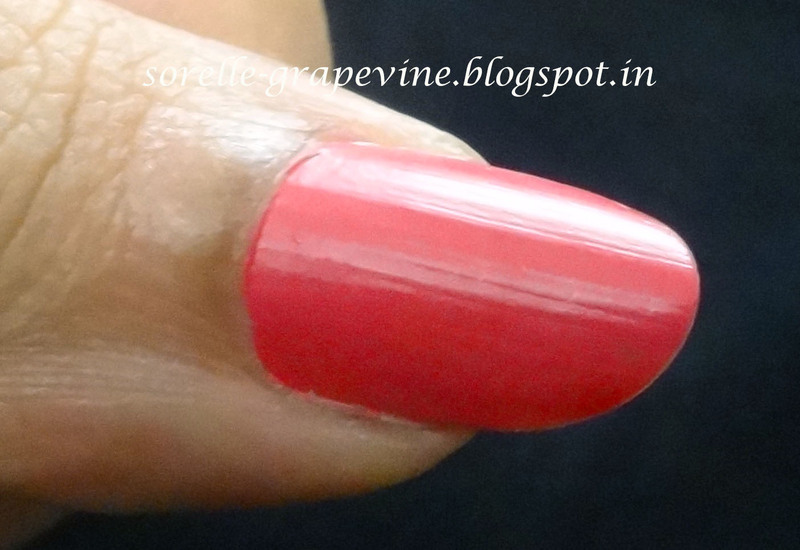 By the 5th day noticeable chipping appears by then you just need to repaint your nails. Price I had paid for it was Rs. 590 /- for 15 ml of product. A very pretty shade from the line. What do you think? Would you be interested in purchasing it? Make sure you comment to let me know. Well I’ll be seeing you around. Till the next review…..signing off! Would you purchase Inglot Matte Nail Polish 720 again? – For the color – yes I would. But for varieties sake – probably not. Would you recommend Inglot Matte Nail Polish 720 to your friend? – Yes I would. I bought these off the Major Brands site. Out there they have just given an image of the supposed swatch of the product but yes there is a difference in color between the product and the swatch. What I don’t like about their site is that they do not give proper product info plus all the Inglot range is not available. But I digress. It comes in a cube shaped packaging which is made of really tough plastic. I adore the packing. It is quite compact making it travel friendly. The 2 shades are divide equally among the 2 halves of the cube. There is no divider present to prevent the 2 shades from touching. When I opened the cube I found the inner rims greasy which I did not like. The lighter color is light pink shade with very minute gold and silver shimmer in it. The darker shade is a pinkish rust shade with very minute pink and silver shimmer it. The product is very slightly sticky and gives shimmery glossy look as opposed to looking like liquid on your lips. Both colors are sheer by nature and are buildable only to a certain extent. I think the color combination provides the option to use it as a day-to-night look converter where this one product can help you achieve 2 looks. If you are looking to jump into the ombre trend this provides you with a subtle option to do so ;). Price is Rs. 720/-. The one in the middle is actually the darker shade. Bottom one is the lighter shade. Would you purchase it again? – No I’m not a fan of the texture. Plus it starts to smell a little strange after sometime. Not in an obnoxious manner but just off. Would you recommend it to your friend? – Nope. I bought this from the shop at major brands site. I was looking for a neutral/pale shade which would help me blend out dark colors/lines. The DS stand for Double Sparkle. It is a very very light almost whitish peach shade with silver sparkle in it. The texture is very smooth and is very easy to work with and build upon. It is a really good highlighter shade and a cheaper alternative to MAC. Price is Rs. 300 for 1.8 gms of product. Would you purchase it again? – It is ok but I would like to try something else. Would you recommend it to your friend? – Maybe. I won a free sample from Inglot India! Inglot India was holding a free sample giveaway on their Facebook page a little while back. I filled in my requisite details but to be very honest I was not expecting to get anything. I was so surprised when I got the mail from them that I had won a free sample that I did not believe it at first :). I checked out their FB page just to make sure. I went to the store to redeem my prize and got this eyeshadow trio. They had a 5-6 color choices available in it but apart from that they weren’t any options like choosing between a lip product, face product etc. I was expecting something like a sample size but from the looks of it I think it is a full size product. I have not seen it earlier so cant really comment on it plus I forgot to ask them details about the product (doh!). It is M3 Eye Shadow 556 in Pearl finish. I really like the packing which is a thick plastic container. It contains 3 shades – a dark peach, antique gold and a metallic brown shade which has copper undertones. 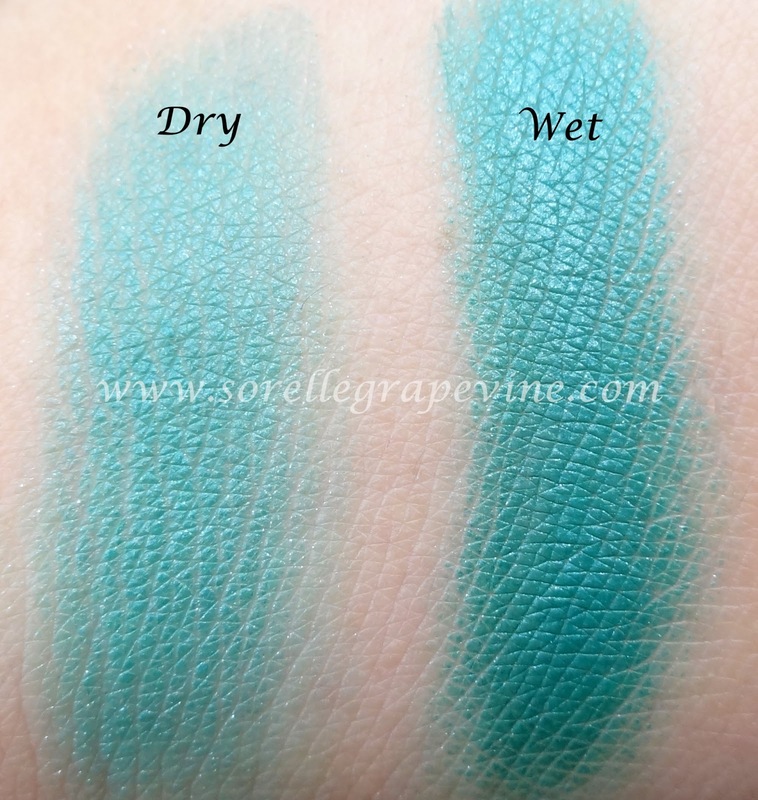 All 3 shades have amazing pigmentation and have a buttery soft texture. They are very easy to apply and blend. When you take a swatch then they do look like 3 distinct shades however on the lids, you can make out the peach shade if it is seen from an angle. If you look at it straight then it looks the same as the gold one. I love the color combination of these warm shades and feel that these colors will look good on most skin tones. 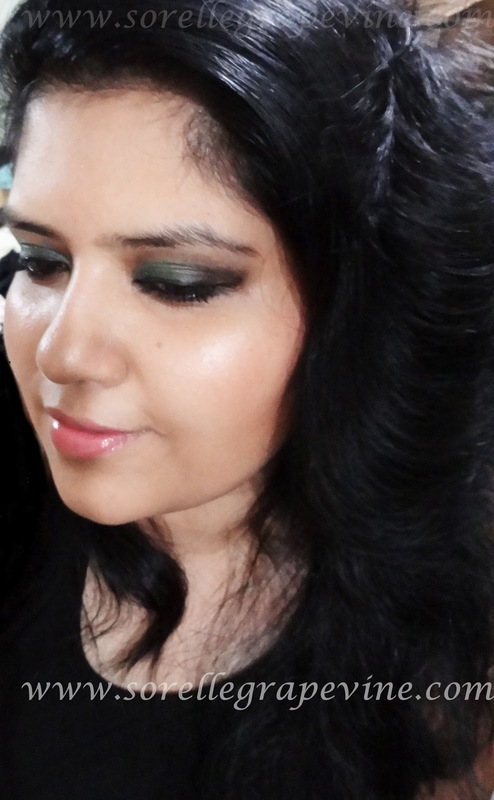 Many thanks to Inglot India for giving me this chance to try out a really good product. Cheers! Honestly, I don’t know why I don’t swatch a lippy on my lips before buying. I have the most awful luck with em (Sigh). Now I really liked the shade when I swatched it on my hand in the store. I felt it had a nice light shimmer and the color is really pretty n~de-ish peach. But when I applied it to go out in the day time I was in for a shock. It was really shiny and looked like I had put on a whole lot of silver shimmer on my lips especially in the middle area of my lower lip. Whenever the light hit it my lips lit up like a bright light (I kid you not). Dimp was too busy laughing and luckily I had not stepped out of the room. I tried blotting it out but it still didn’t cut the silver look :(. Well it is a pretty color but definitely not for the day. I kinda layered it on a couple of times as that is usually how I apply my lippy so I would strongly advise against that. A light hand is needed with it. I think it would look nice worn in the evenings especially by itself. And the metallic look is in these days. I’m a little apprehensive about it since I had a bad experience with it but I don’t think that it deserves to be written off. So lip swatch it ladies! I like the packing of the product – it comes in a metal case. I don’t remember the price but will update this post once I get that info (costs lesser than a MAC though). The texture is nice too. I think you can understand what I meant about the shine. This is under artificial light. Would you buy it again? – The color – No. The brand – Yes. Would you recommend it to your friend? – Color – Not really. Brand – Yes. OMG! I love love love this pigment. It is a beautiful bluish green color that translates well onto your skin. I have used it in my peacock inspired makeup tutorial so check that out to see how it looks. All in all a gorgeous shade irrespective of the fact if you use it dry or wet. Price is Rs. 700/- (Im kinda not certain about this for now as it has been a while since I bought it and I think each pigment in Inglot has a different price. I will confirm and let you guys know). But this one you gotta check out! Would you buy it again? – I think I would. Love it! A beautiful light purple color with gold shimmer. It gives a two toned/colored effect. When the light hits it it shimmers gold with the purple color peaking from the shadows. I really like this shade. Unlike 88 this is easy to work with. Use it wet for a more intense color. It will also enhance the two tone effect. 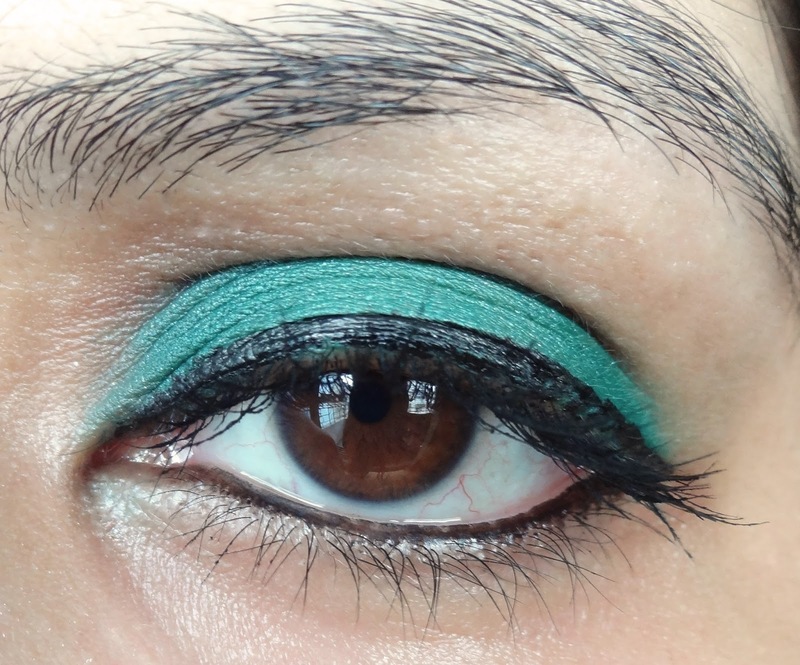 I have used this shade in my Peacock inspired makeup tutorial to give an all over shimmer and some shading to my finished eye look. Price is Rs. 700/-. Would you buy it again?- I would not mind purchasing it again. Would you recommend it to your friend?- Yes.